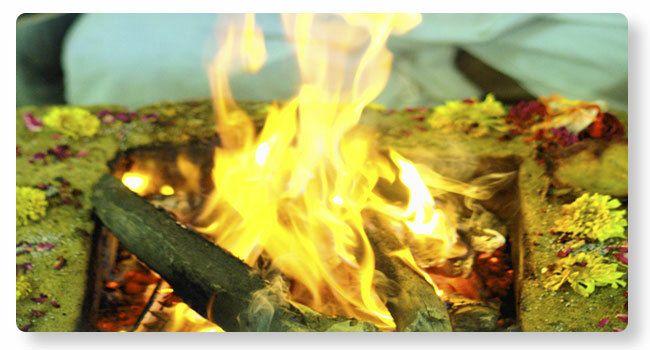 Navagraha Homa is one of the most important homas as mentioned in the vedas. As per Hindu astrology, planetary movements create huge impact on a person’s mind, life, career and future. Problem posed by planetary movements in one’s janma kundaly can be too harsh at times. Navagraha homa is the best possible resolution to pacify the effects of the grahas in one’s janma kundali. Performing Navagraha homa can also bring best results during Guru Bala and good times in one’s Janma kundali. Rahu – Material comforts, Mystic Sciences, Strength to come out dangerous situations. Ketu – Knowledge of Moksha, To avoid obstacles created in once life. Pacify harsh effects during sandhi kalas, saade saati, and threats due to bad planetary movements. To lessen the effects of doshas in the Janma kundali. Brings best results during good times in one’s life. Brings the blessing of the navagrahas if performed during Vratas and occasions.